One week after I posted about how boring homeschooling high school can be when you attempt to describe a week, we have a fairly exciting week - at least for us. It was a field trip week! And not a field trip with Amber, my mom, and me; a field trip with the homeschool group, complete with group lesson and varying age ranges. We went to the St. Louis Science Center for their Mission Mars class, which includes a star show in the planetarium too. 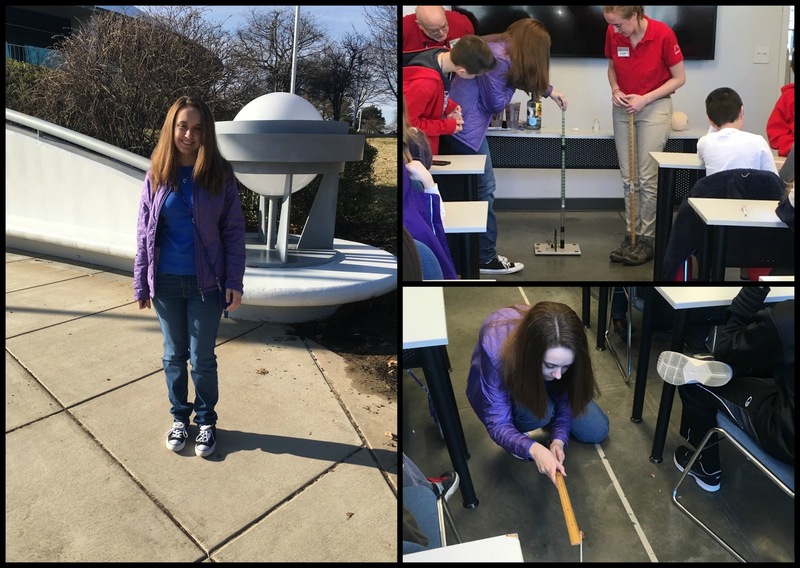 While Amber and some of her friends thought that the activity in the class portion was a bit young for them, they did not create the perfect rockets. They clearly had more to learn, and it was early in the morning for most of them. The younger kids (we're talking 4th-7th grades) were eager and answering questions. The older kids all looked like your standard teenager woken up too early in the morning. Outside the planetarium and in the Mission Mars class shooting off their designed rockets. Still, they enjoyed the field trip and the star show on Mars. I do not remember being so motion sick at the star shows before, but every time the sky rotated I was fairly disoriented. Amber said it happened to her too, but I expected that reaction since she get motion sick too. This field trip was perfectly placed in our schedule too. During the star show I noticed that a good portion of the information had recently been discussed in my astronomy class, or was included in the assignment due the very next day. Thankfully, many of my astronomy students (including Amber) remembered the facts and could answer the questions asked. Yay for co-op classes. Monday was an early day for us too, but thanks to Fred it wasn't as early as it could have been. My mom had a simple outpatient procedure, but needed to be at the hospital by 9:20 am - that means picking her up and then driving halfway back to our house by 9:20. After the time change on Sunday, I was entirely done in. Fred knew this would happen, even though I told him I could take my mom without any problems. Thankfully, Fred had scheduled the morning off of work so he could take my mom. 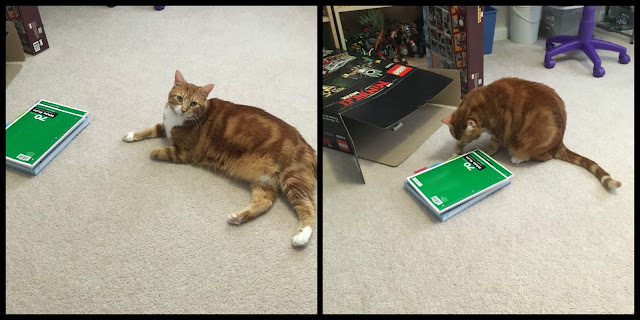 School at Grandma's and at home. Amber and I met up with Fred and Mom back at her house after the very short procedure. Mom needed to be watched for a short while because of the anesthesia, so we all went out for lunch before Fred had to go in to work. Then Amber and I took Mom back to her house for a restful afternoon, at least a restful one for Mom. Amber really couldn't afford to sit around all afternoon chatting, so she had school work with her. It was reminiscent of the time when we first started homeschooling, and I would take Amber in to Grandpa sit while my mom ran weekly errands. My dad slept more than anything the last few months of his life, so Amber worked while he slept and interacted with him when he was awake. The rest of the week has been fairly uneventful though: normal co-op day, plus two days of entirely at-home lessons. It's been wonderful to have two days where we didn't have anywhere to be and could devote the entire days to school work (Amber) / house work (me). Literature - Starting Last of the Mohicans, thus we had a discussion time. Also she turned in her writing assignment from Jane Eyre. Writing - Co-op class time, plus homework done correctly. She got a perfect score this week. Astronomy - Co-op class time, plus homework and field trip. Art & Drama - The remainder of her co-op classes. She's on schedule with memorizing her part, and completing her art homework as assigned. Flute - Lesson and practice times. Even with the time change exhaustion, a field trip, and helping out Grandma, Amber managed to complete a nearly whole week of our normally scheduled work, except math. It's always the math. To be honest considering the exhaustion from the time change, I did not even ask Amber to attempt math. Biscotti was patiently waiting during Greek lessons today, but eventually had to tell us it was time for German. I'm still working on plans for 11th grade along with a vague outline for 12th grade, but it's looking nearly finished. It also seems that Amber really will be having summer school, even though she will have completed all the required hours. There is simply too much she wants to complete in the four years of high school, and her health does not allow us to overload her daily schedule. 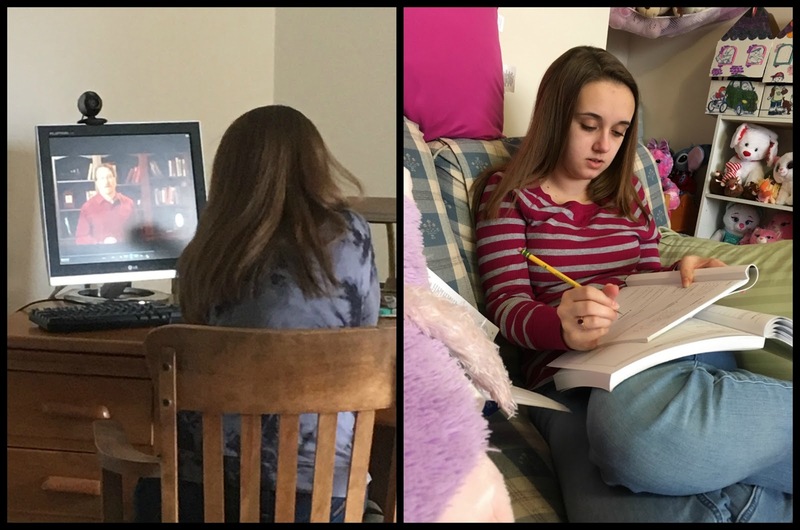 ACT prep - We are not going to put her through a formal prep course, since she only needs a very minimal score to avoid taking placement tests at the community college she will attend before transferring to her desired university. She will take some practice tests and review the ACT essay portion of the High School Essay Intensive from IEW. Science - It has been our plan for a while to complete her last non-laboratory credit of science over this summer. In truth, she only needs half of a credit, and we may allow her to do just that. Literature - There are a few novels she will be assigned over the summer, but she may not need to do writing assignments on them. Creative Writing - I'd like her to keep up her momentum with this subject, and she enjoys it. (One would hope, since this is her intended major). Greek & German - I don't want her forgetting anything, so she will continue with both languages over the summer. I really would like to stick to that list of subjects, although I'll need to look at where she is in all her courses at the end of the school year. We don't always start and finish subjects with the school year dates, so it will be alright if some are incomplete. We will simply pick those up in August. Our best snow of the season came between warm days, when the snow was not supposed to stick. We ended up with more than this too. This weekend is even a plain, old, ordinary weekend with time for rest, household chores, church & youth group, Amber's co-op assignments, and hopefully a family movie night. We will probably be working over the summer this year too. Anne's dance schedule and Dean's need for life to move slowly mean we can get it all done. I suspect we will be finishing up Math and Biology over the summer. I am just now plotting out my oldest's high school courses and trying to figure out when and how we'll get to each subject. I've already warned my boys we'll keep working on math and writing through the summer as I don't want anyone sliding back and losing the skills we worked so hard to gain this year. Sounds like a very good week, and a really fun field trip!! 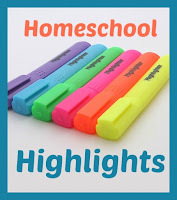 Thanks for sharing on Homeschool Highlights!